As professional artists in the entertainment industry we’ve been using computers for at least parts of our work since we first were introduced to computers back in the 90’s. We didn’t start using computers because we wanted to surf the web. It wasn’t email that peeked our interest in computers. Instead, it was the potential that they had as being valuable tools in our work that did it. Surfing the web came after, being an additional tool for finding reference and whatnot. Email also came after, this was in the heyday of Earthlink, and became a new and fast way of communicating with clients and delivering work. Our first computer was one of the original iMacs, followed by a blue clamshell iBook. Since these early days, we’ve purchased and used nothing but Macs- several Macbooks, a few Powerbooks, 10 or so iPod Touches and iPhones. 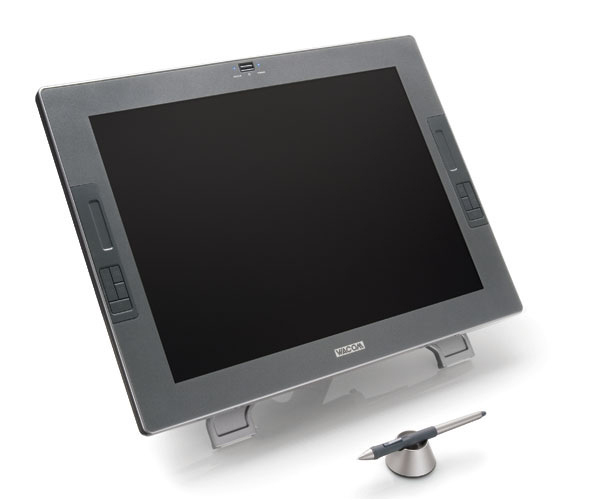 We also use Cintiqs as well as a Modbook, which is an Apple Macbook, modified into a true tablet computer. Our latest Apple product was purchased just this afternoon, a beautiful 27” iMac. When you get your first computer and it’s state of the art, it’s a dream come true. They get faster and faster and you upgrade every seven minutes as things go, but as technology advances, so do your hopes for it and what may come. One device we’ve been looking forward to for years now is an official tablet made by Apple. As of now, one has been announced- the iPad! No camera so far, no multi-tasking, no Flash… none of these are deal-breakers for us. You hear people saying the same things over and over, “It’s just a big iPhone” or just simply making fun of the name, referencing feminine hygiene products. One should not expect anything different from cynics and perverts. When we first heard the name, we thought of the iPod line, and it fit perfectly. We then thought of pads of paper, note pads and of course- sketchpads! The description “over sized iPhone” or “oversized iPod Touch” doesn’t sound like a bad thing to us at all! 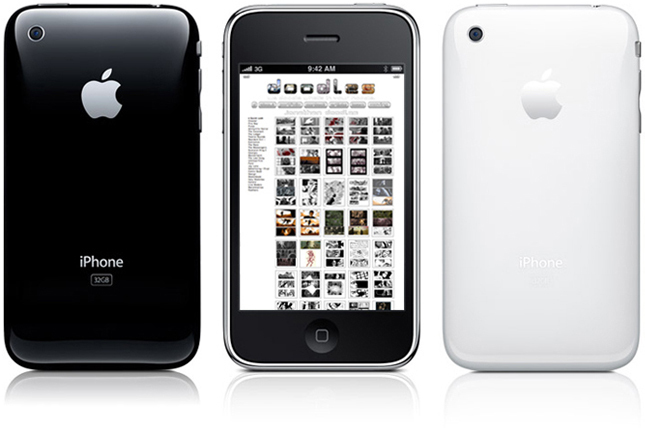 The iPhone and iPod Touch have proven to be groundbreaking, standard setting, extremely fun and indispensable work and play tools. We use them every day. If anything, the only complaint would be the occasional, “I just wish the screen were bigger”. Obviously, having a phone the size of an iPad just wouldn’t work, but having a larger version of the same type of device in addition to a smaller phone version is beyond appealing. Honestly, the iPad looks amazing. From what we’ve seen of it so far, we’re blown away, very excited. The email app looks great, really can’t wait to try that out. 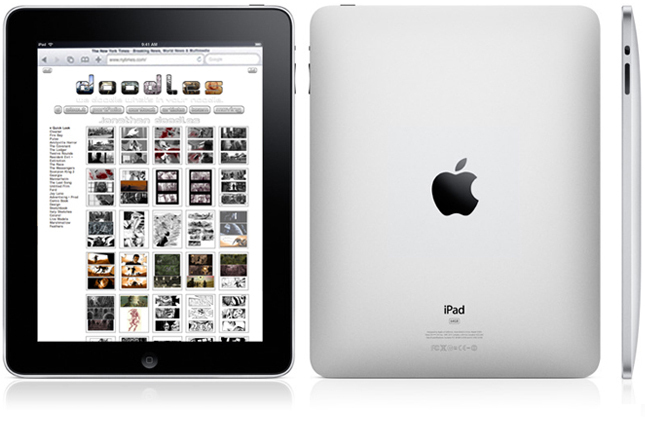 From browsing the web, to maps, to iBooks- the iPad looks better than what we were hoping for- perfect! The upset here with us is the lack of serious support for pen based functions- sketching, painting and handwriting. We are professional, working artists in the entertainment industry. We do storyboards, conceptual artwork and all kinds of illustration for feature films, gaming, music videos and advertising. To date, we have only and continue to strictly use Apple products and stand by Apple 100%. Probably about 90% of our peers, from what we know, also only use Apple products in their digital work. 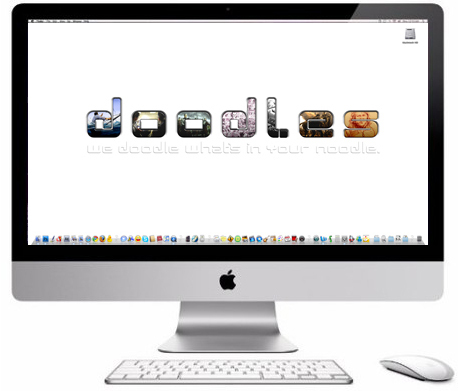 Walk into any major art studio, production house or advertising agency and you will probably find nothing but Macs. There is a reason for this. Apple has catered to artists and creative types for years now, while PC companies have tended to cater more toward your generic businessman, Joe Blow or Mary Sue. Apple makes aesthetic products, which perform like no other. The iPad is begging to be a note pad, a digital canvas and sketchbook. There are some very ‘neat’ art applications made for the iPhone and iPod Touch such as Brushes, Sketchbook Mobile and Layers as well as a bunch of goofy, trivial ones not even worth mentioning. On the iPad, pressure sensitivity is clearly just not an option, but this alone does not disqualify it as a potential artist’s dream machine. What kills the iPad so far as a serious art tool is the lack of a simple yet workable stylus as an optional accessory. Reportedly, Steve Jobs doesn’t like pens. Well, Steve should know a couple of things. Artists and creatives, as niche as we may be, make up much of Apple’s base. We are less in numbers but are still influential and extremely loyal. We also love pens, pencils and paintbrushes. In watching the keynote address introducing the iPad to the world, it was funny to see the part that covered the Brushes app for the iPad. In bringing out Steve Sprang, Scott Forstall talked a bit about Brushes, saying that artists all over the world use it to create amazing works of art using just their fingertips. Seriously? The top artists in the top fields of digital art tend to use primarily Apple computers. Are they telling us to buy this so we can do our serious work using just our fingertips! This is insulting! Just as Apple has spent years, countless hours laboring over the design of this product, bringing it into being, as serious as they are about it, for them to tell the entirety of professional artists out there to purchase this machine so that they can do “professional finger paintings”, they must know how reducing that must feel in that the iPad is being referred to as a “toy” by many. Stings, doesn’t it, Apple? Why build something that is so close to being exactly what an entire group of people have been waiting for only do deprive them of a tiny part that reduces it from being an essential artist’s tool to something more trivial. OK, before any comments are left, we’ll say it- there are some touch capacitive styluses on the market. 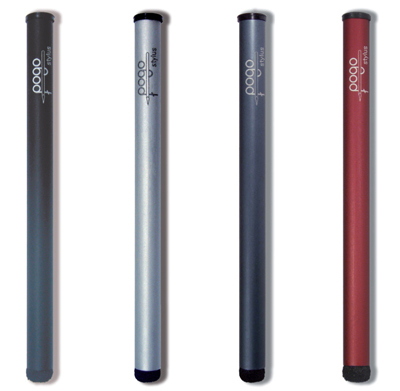 The Pogo stylus is one, probably the best one, hands down. We’ve purchased just under a dozen of different iPhone compatible styluses and the Pogo is clearly the best to be found. It works pretty well for tapping buttons, icons and for scrolling. It does not work so well for artwork tho. It has a fat tip, as does every other compatible stylus we’ve found. It’s basically a fingertip on a stick and while you may hold it like a pen, you’re still going to end up finger painting. What is needed is a fine tipped stylus that works for the iPad. We suppose that there is still a chance a third party company will finally make a decent stylus, one which works for serious artwork, tho enough time has passed and they are all quite bad so far. As of right now, until someone comes and saves the day, all hope lies in the Pogo Sketch stylus (lord help us) because so far, this is the best thing being offered as of yet. It’s pretty much the same as the regular Pogo stylus (shown above at about actual size) except it comes with a clip and is longer- more like a regular pen. The tip is still made of this strange black foam which squishes when you press down with it and is the same size. Using one of these styluses gives you about the same amount of accuracy as you get when using a dull crayon or a piece of school room chalk. 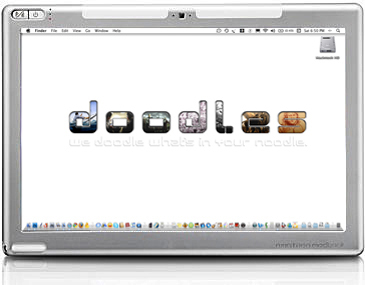 The Modbook on the other hand is a clear favorite with us; out of the machines we own and use to date. It’s a surefire, all-round perfect artist’s companion, except for one main problem- its weight and size. For taking on location it’s perfect, so long as you have a desk or surface of some kind to rest it on, as well as a stand to prop it up with and it’s a bit of a drag to use without a keyboard, for shortcuts and whatnot. Oh, can’t forget to mention the power source- using applications such asPhotoshop and Painter, it really can tend to chug juice- as does any computer. As a ‘slip it out and quickly sketch that over there really quick’ device, it fails. The Modbook works wonderfully as a mobile, take anywhere digital workstation. The days of lugging around a scanner, a ton of paper and grip of pens, pencils and whatever else is gone. One single machine holds all of the tools an artist can dream of it all and works beautifully. We use the Cintiq when in a home studio, but for any kind of in-house (on location) artwork you really can’t lug one of those things around so easily and this is where the Modbook comes in. The Modbook has made life so much easier, it’s hard to express it here in a way that we’re content with. It’s a little painful to remember the days and ways in which we worked on the move before the Modbook. Still, having a smaller, lighter, and more simple machine to do quicker and more spontaneous artwork, in the field, with less of a workstation type set up would be ideal. This is what is missing out there. There still is Colors! made by Collecting Smiles on theNintendo DS line of portable gaming machines, which is quite amazing for what it is. 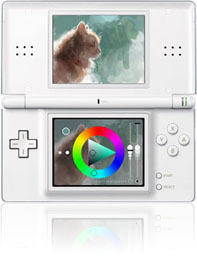 Here are a few sketches done on a Nintendo DS using Colors! It’s a fun little program (requires modification) to use tho it has some drawbacks. It only has two brushes, one is a hard round and one is a soft round. No textured brushes at all. 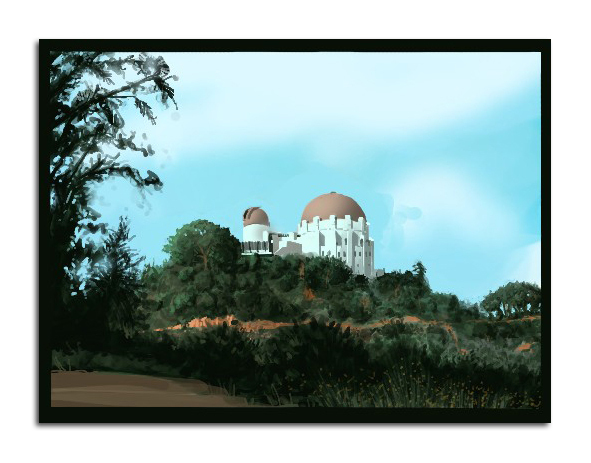 No undoing brush strokes (except for the iPhone and iPod Touch version). Colors! does not support layers or anything else that you might expect to have in a digital sketching or painting experience. Colors! 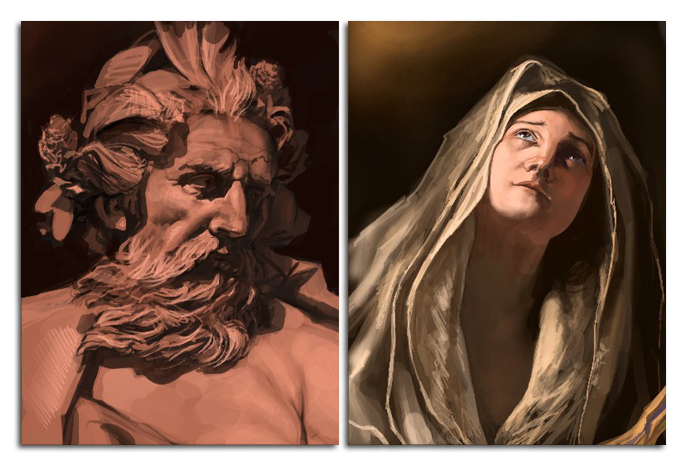 offers a very basic and simplified painting opportunity, in a very small package. 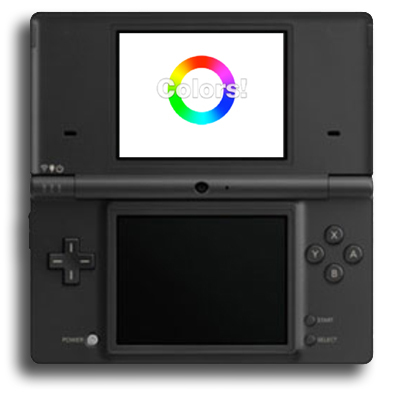 The screens offered by Nintendo are not intended for fine artwork and hence display the artwork you do a bit poorly compared to how the final image will actually look when it is transferred to a computer wherein it will display much smoother. This differential must be kept in mind when working. Overall, it works but it doesn’t, it has its place and that place is about as small as it is. Nonetheless, some quite amazing artists have been able to pull off dazzling work on this little machine. But, the iPad would be perfect, save the fact that so far Apple has so far skimped on people like us based on its dislike for pens. Apple, are you guys just making machines for yourselves now and not so much for the people who buy your products? With the addition of an Apple stylus for the iPad, which would work for both the iPhone and the iPod Touch lines of devices, a whole new type of person, or should we say “customer” would be not only interested but enthusiastic about this new device. It would probably cost them a buck or two to produce them, they could sell them for $20 a pop and this machine, just as it already is would become something completely new to a whole new group of people. We as artists are thrilled about the idea of being able to show up for a meeting with a director, needing only an iPad and being able to sketch out an action scene on this sweet little buddy of a device. As of right now, this doesn’t look like it will be something that will happen. 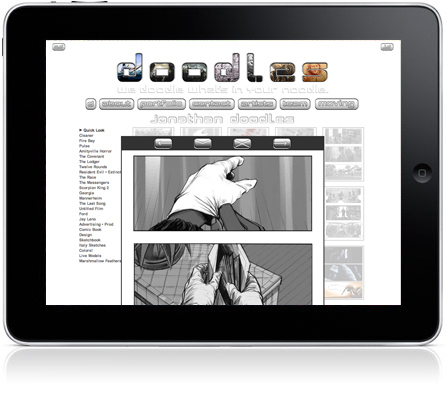 Bottom line, the iPad definitely looks like it will not be the machine of choice for digital artists on the move. 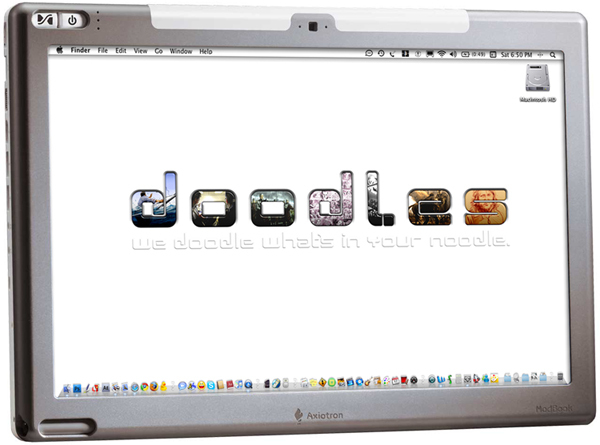 The Modbook by Axiotron, as much as we were hoping Apple’s new tablet would make them obsolete with a tablet that not only catered to readers, emailers and web surfers, but artists as well, is the machine to have. The saddest part or result of this is that for the first time, we’re looking into machines made by other companies to fill this void. We have had one PC before, had it years ago, given to us by a friend. It was pretty much unusable tho in that viruses made it so. You really couldn’t do much of anything with it before its screen was utterly filled with popup windows and crap. We had to be constantly running anti-virus programs to clean it of spy ware and junk- terms I’ve only had to use when talking about PCs, in all of our years, with all of our Macs, we’ve never had one single virus or malware related incident. Still, should a PC company make a device that can be taken around easily and run a decent mobile art application, we would consider it. Tho, we’d never let it touch the web. Will we get an iPad? Yes. Are we insulted and disappointed in Apple as artists, as the fan boys we are and as stockholders? Yes. As of now, what we are hoping for is stylus for the iPad- not a mechanical fingertip, but rather an actual pen. 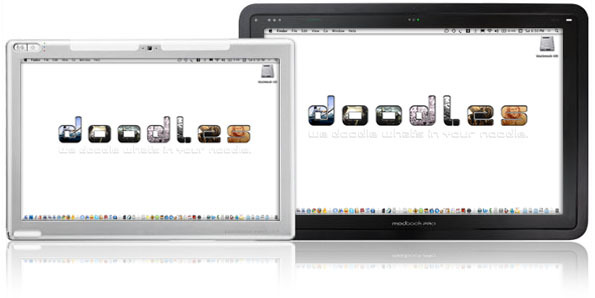 Again, we don’t see the iPad replacing a serious machine like the Modbook. Still, it would be nice to have a more portable tablet for more on the fly work. After a good few years of waiting, Apple delivers their wonder tablet. Here we are left wondering why they didn’t consider us. What we are looking forward to now, as a replacement to the so far artistically disappointing iPad, is Axiotron’s Modbook Pro! As of yet, it remains a vapor, a promise. A Modbook wholly of Axiotron’s design with the guts and soul of a Macbook Pro and boy does it look nice! The iPad has not been released yet- we know this. This is an attempt at a loud squeak, a hope for some oil. We hope our peers will agree and speak up, comment here or elsewhere. We hope that Apple will hear us. As soon as we get our iPaws on an iPad, we will update this and give a far more thorough review of the wonder device, not only from a general user’s point of view but also and particularly from an artist’s angle. Steve, please give us an iPen!